It’s a fair question, and we hear it a lot. Authentic is an ideal we strive for in all aspects of our company. 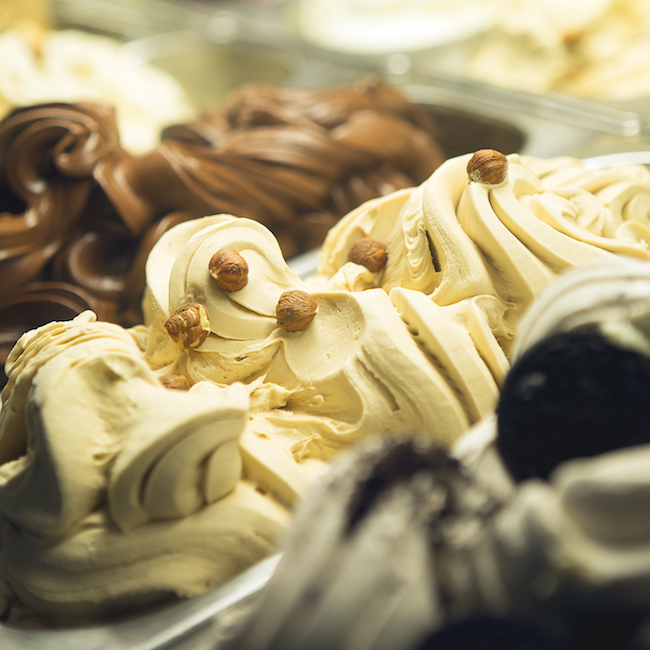 To us, it means a passionate and genuine approach to making, presenting, and serving gelato. 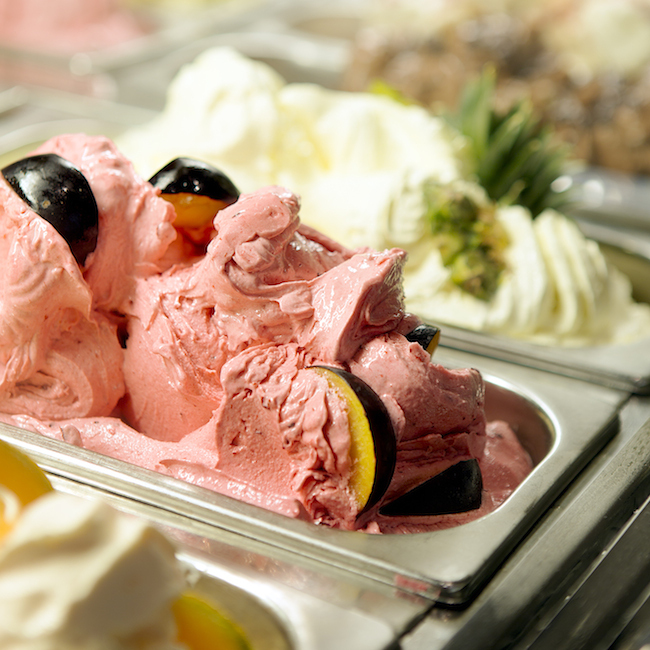 From our secret Sicilian recipes to our Italian imported ingredients and decor, we do our very best to bring the authenticity of the Italian gelateria to each of our stores in southern California. 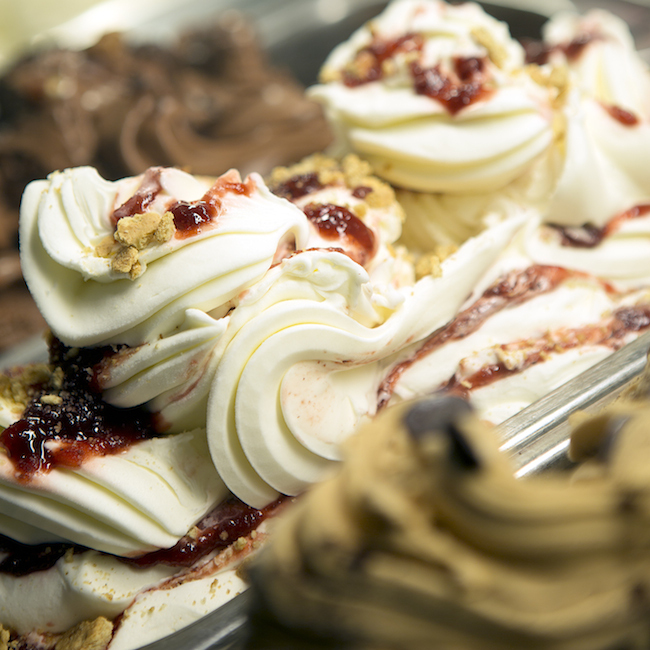 Our artisanal gelato is hand-made in small batches every morning, right in the shop. Each flavor is rendered using old world recipes and traditions that have been passed down and improved upon through generations of master artisans. When we say “artisanal,” what we’re really trying to convey is hundreds of years of gelato history, knowledge, and expertise behind each bite. This is both the person and the method behind our gelato. The artisan is the one waking up in the wee hours of the morning to execute every aspect of the gelato making process, from prepping fresh ingredients to shaping an artful presentation. Our artisans, possess tremendous passion and expertise evolving out of years of dedication to their craft. Each morning you can see them at work in the production room, mixing gelato and placing the finishing touches on each pan before it is served. The characteristic boldness of our flavors is expressive of the artisanal cocoas, extracts, fresh fruits, and other quality ingredients folded into each batch. 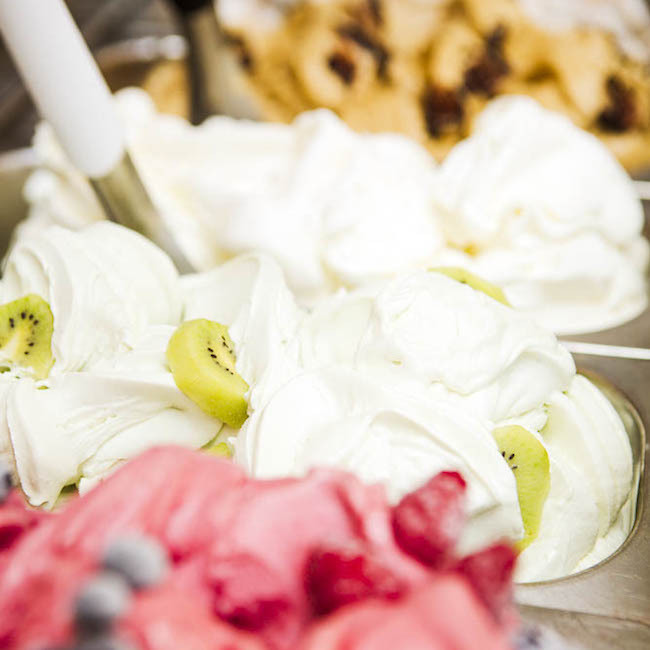 The ingredients for our gelatos are sourced from among the finest in Italy, representing various growing regions and producers throughout the country. 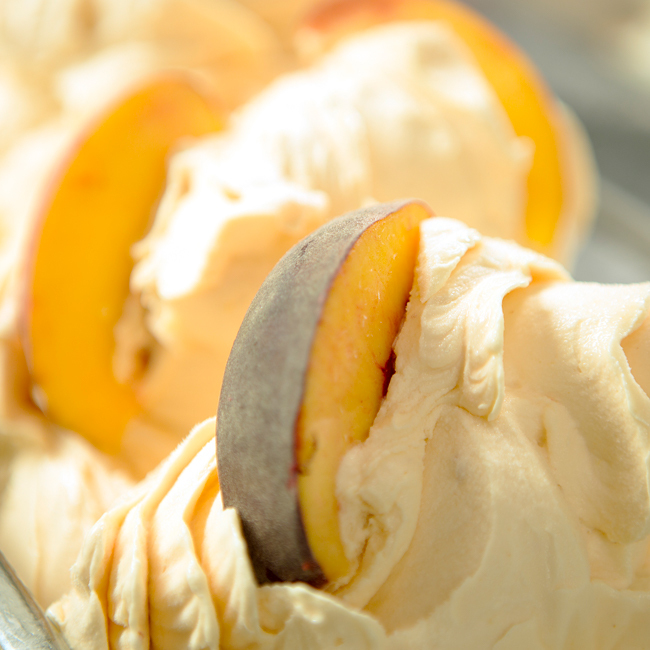 As a dairy-free alternative to ice cream, our sorbettos combine only ripe, seasonal fruit with pure water and a touch of sugar. Because of our commitment to using fresh ingredients for our sorbettos, each small pan reflects the natural variations of produce picked in season.